Equal workloads for the sales districts, reduced travel times and more time for the ”core business of customer care“ – Lieken has achieved a lot. In the past, Germany‘s leading baking specialist collaborated strategically with external consultants, who worked with their own planning systems. And the sales areas were structured regardless of postal code boundaries. However, the Group wanted to change that – each postal code should be clearly allocated to one sales area and, in turn, to the sphere of responsibility of one sales representative. With equal workloads. They succeeded in doing this by implementing PTV tools: Lieken now carries out its strategic territory planning in house with the support of state-of-the-art software. The sales force makes its calls to ”freshly-baked sales districts“. And questions such as ”who looks after which new customers“ or ”how can we improve the relationship between driving and visiting times,“ can now be exactly answered by the system. Lieken found out about PTV at a trade conference – and decided to implement the PTV Map&Market premium product after an evaluation workshop and a test phase. In addition, operational planning has been greatly simplified by the restructuring. Using the software, Lieken evaluates the ideal location for new employees in the sales force. Moreover, PTV Map&Market can flexibly integrate exceptions – some of the baking specialist‘s customers had to remain allocated to their initial consultants. The PTV Software took into account these allocations. The Lieken Group is Germany‘s leading baking specialist. 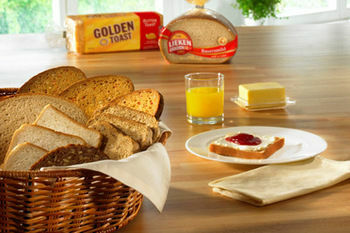 The company delivers fresh products under the GOLDEN TOAST and LIEKEN URKORN brands to around 1,500 food retailers daily. On top of this, they produce private labels for retailers and bake-off products. The logistics company Logi-K is also part of the Lieken Group. The Group recorded a total turnover of around Euro 750 million in 2010. Approx. 5,000 employees are committed to maintaining the company‘s freshness and quality standards. Lieken has belonged to the Barilla Group since 2002.